Maybe you've visited all the top sights and attractions; perhaps your tastes are different than the "typical" tourist, or you'd like to see more of San Francisco than its tourist veneer. Try a few of these sights, the "best of the rest." It's on the 49-Mile Drive, but you don't have to do the whole thing to see it. 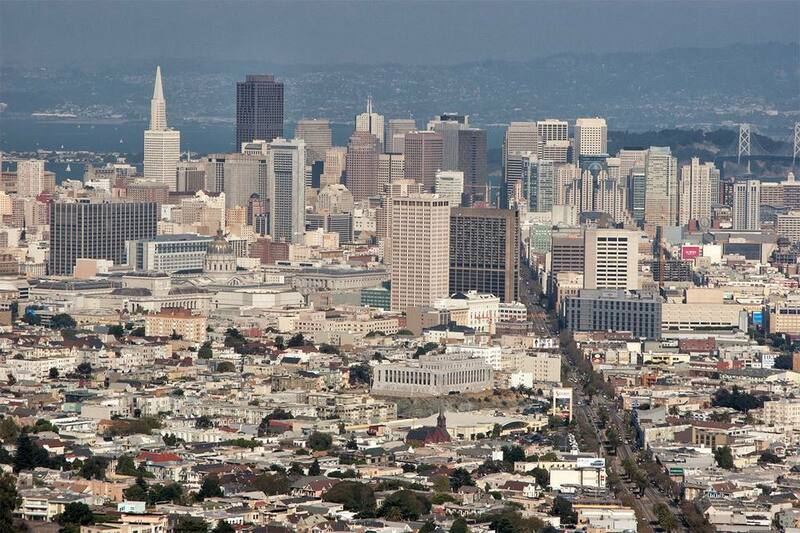 On a clear day at Twin Peaks, you'll be rewarded with iconic views in every direction. It's beautiful to look at and fun to drive over, but a walk is the only way to experience the Golden Gate Bridge fully. At the center, you get its full scale, standing more than 200 feet above the water with the towers rising almost 300 feet above your head. On clear days, the Marin Headlands are a perfect place for a romantic, twilight view of the bridge and the city behind it. To get there, drive north on US Hwy 101, exit at the first exit after the bridge, then turn left and drive uphill on Conzelman Road. Skip the first busy parking area and go halfway up the hill instead. Baker Beach boasts one of the best Golden Gate Bridge views in the city, but the vistas aren't its only attraction. Fishermen, tourists, and dog-walkers roam the beach, ignoring nearby sunbathing nudists with typical San Francisco tolerance. Before you go, see this guide to Baker Beach. This west-facing beach area has been a San Francisco favorite since 1863, when the first Cliff House was built. The restaurant, while popular, offers mediocre food and poor service at high prices, but that's no reason to stay away - the surroundings are much more rewarding. The beach is popular for all forms of water recreation, kite flying, and fishing. More about Ocean Beach and the Cliff House. San Francisco's North Beach is an Italian veneer laid over a half-Chinese neighborhood, and that's only the first of its many surprises and contradictions. This is the place to go for old-fashioned Italian food, people-watching in the park and interesting neighborhood shops. Nearby Coit Tower offers panoramic bay and city views from the top of Telegraph Hill — and 1930s San Francisco time capsule captured in its murals. One of the city's liveliest venues, the Ferry Building Marketplace is full of local artisan food shops and restaurants, and the site of weekly farmers' markets. The "painted ladies" Victorian Houses seem synonymous with San Francisco. Some of the best are found near Alamo Square. But there's more, including some that are famous from their appearances in films and television programs. Get up close and personal with a few of these ladies: See the Guide to San Francisco's Victorian Houses. San Francisco's premier art museums include The Palace of the Legion of Honor which holds an impressive collection of Rodin statues, including The Thinker, the M. H. de Young Museum in Golden Gate Park, and the San Francisco Museum of Modern Art, near the Convention Center south of Market Street. If you're going to San Francisco you may need some help finding things to do that are best for you. If you want to just see the most popular sights, check them out in the guide to Top Things to Do in San Francisco. 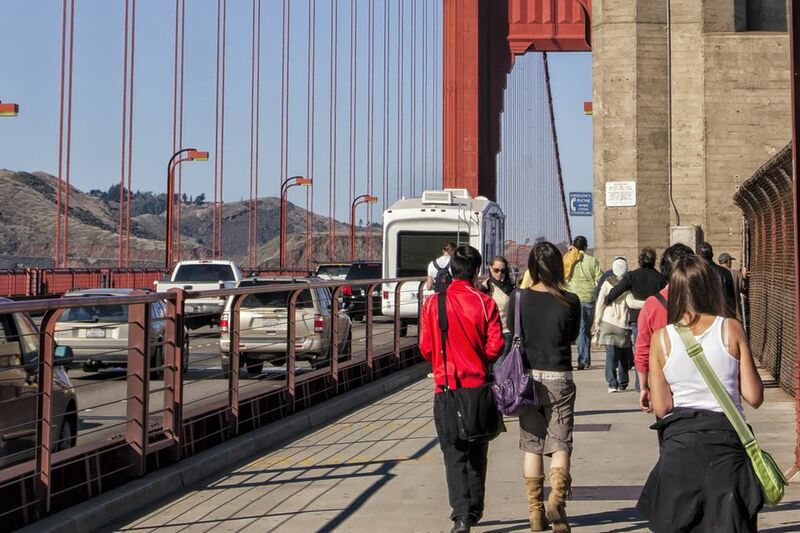 If your budget is tight, San Francisco has more things to do for free than you might imagine. You'll find those in Things to Do for Free in San Francisco. In case the weather doesn't cooperate, you might need to know about Things to Do On a Rainy Day in San Francisco.​ After dark, look for some Things to Do at Night In San Francisco - Year Round or Things to Do on a Summer Night in San Francisco.